Our Vets Pets Program provides pet food to Veterans, Active duty personnel and their families. Our Veteran’s Food Bank is available every Wednesday (10am – 11:30am) or at the Pet Food Bank on the third Saturday of each month (10am – 2pm). Qualifying Veterans/Service Members/Families need to complete an application and show current military/ dependent identification or a present a copy of their DD214 with identification e.g. driver’s license. Applications are available at our Warehouse during both food bank hours. Homeless Veterans are qualified based on individual circumstance. 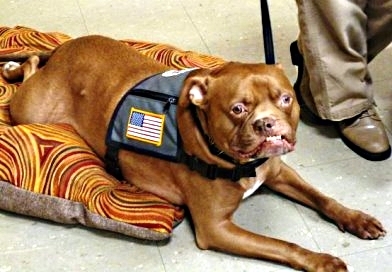 FIDO participates in local Veteran Stand Downs. “I have been on the Vets Program for about a year now. It means a lot to be able to feed my dogs and cats when we are on a fixed income.